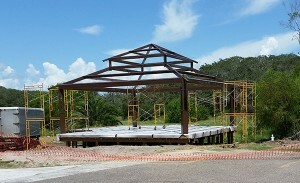 The pavilion, called “Pathways Center ” is the principal information center for all of the Aransas Pathways projects. 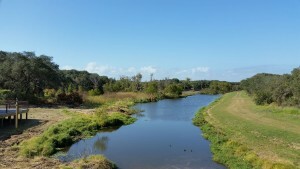 These include: Birding, History, Kayaking, and Hiking and Biking Trails. 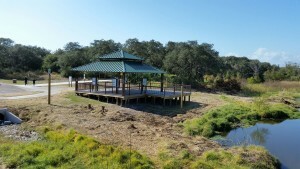 “Pathways Center” houses informational kiosks with interpretive signage explaining each Aransas Pathway project, with an open space for meetings and events. There is also a deck for relaxing and observing Tule Creek and the adjoining Shellcrete Birding and Nature site. 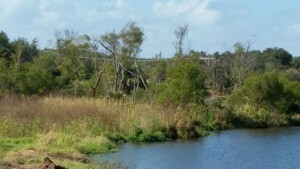 The bridge connects the North and South sides of Tule Creek and the nature site. 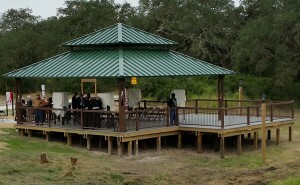 This facility functions as the trailhead for Pathways eco-tourism projects in the Aransas County. Pathways Center is located on the west side of Highway 35 N and the intersection of Tule Creek. This is at the traffic light for the north entrance into Walmart. This land was leased from the City of Rockport and will serve as a birding site but will also be the information center for the Project. It includes a wooden bridge crossing Tule Creek linking the parking lot at the head of the City Hike and Bike trail to Shellcrete Historic Site and Birding Site. 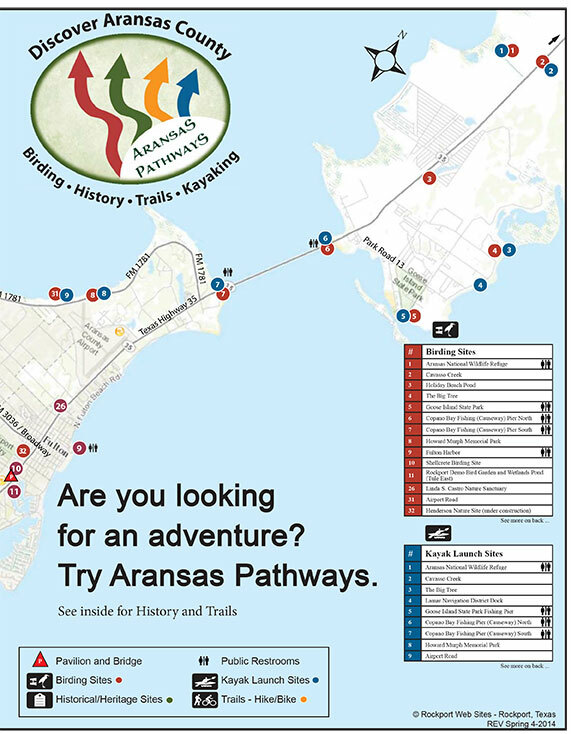 There is an open air pavilion with informative, interpretive signage describing the Aransas Pathways project for use by tourists and visitors. 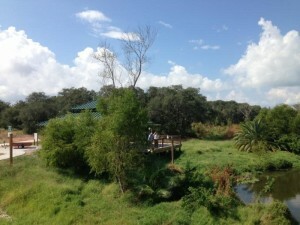 This pavilion has an excellent view of the creek and is expected to attract birders and photographers. It is also useful as a spot to stage local events and educational activities for our residents.